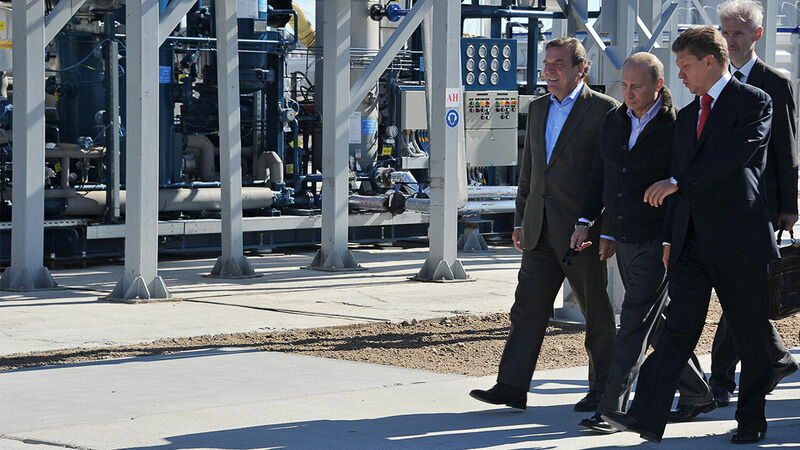 Gazprom Chief Executive Officer Alexei Miller and former German chancellor Gerhard Schroeder arrive for the inauguration of the Nord Stream Project information mount at the gas compressor station ‘Portovaya’ outside Vyborg, September 6, 2011. The vital history of Germany and Russia’s secret alliances. Listen to the July 31, 2018, episode of the Trumpet Daily Radio Show. “We need to carefully watch what is happening right now between Germany and Russia,” begins Trumpet editor in chief Gerald Flurry’s article in the upcoming issue of the Trumpet newsmagazine. United States President Donald Trump has recently shone a spotlight on this relationship, condemning Germany’s pipeline deal with Russia. Why is this so important? Trumpet contributing editor Richard Palmer discusses 300 years of Russo-German cooperation and explains why the latest news is dangerous for the U.S.